Is Johnson & Johnson (JNJ) A Good Stock According To Hedge Funds? “Market volatility has picked up again over the past few weeks. Headlines highlight risks regarding interest rates, the Fed, China, house prices, auto sales, trade wars, and more. Uncertainty abounds. But doesn’t it always? I have no view on whether the recent volatility will continue for a while, or whether the market will be back at all-time highs before we know it. I remain focused on preserving and growing our capital and continue to believe that the best way to do so is via a value-driven, concentrated, patient approach. I shun consensus holdings, rich valuations, and market fads, in favor of solid, yet frequently off-the-beaten-path, businesses run by excellent, aligned management teams, purchased at deep discounts to intrinsic value,” are the words of Maran Capital’s Dan Roller. His stock picks have been beating the S&P 500 Index handily. We pay attention to what hedge funds are doing in a particular stock before considering a potential investment because it works for us. So let’s take a glance at the smart money sentiment towards Johnson & Johnson (NYSE:JNJ) and see how it was affected. Johnson & Johnson (NYSE:JNJ) investors should be aware of a decrease in support from the world’s most elite money managers lately. JNJ was in 63 hedge funds’ portfolios at the end of the third quarter of 2018. 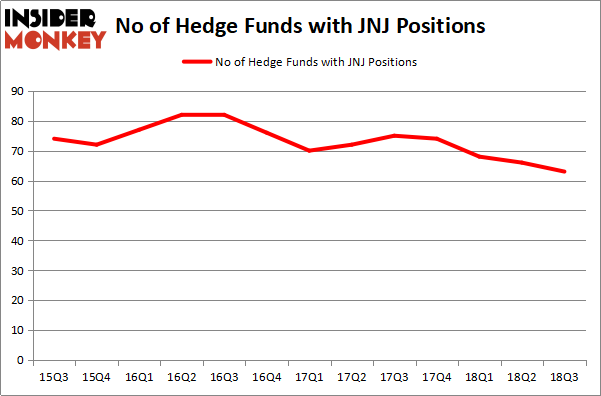 There were 66 hedge funds in our database with JNJ holdings at the end of the previous quarter. Our calculations also showed that JNJ isn’t among the 30 most popular stocks among hedge funds. So, why do we pay attention to hedge fund sentiment before making any investment decisions? Our research has shown that hedge funds’ small-cap stock picks managed to the beat the market by double digits annually between 1999 and 2016, but the margin of outperformance has been declining in recent years. Nevertheless, we were still able to identify in advance a select group of hedge fund holdings that outperformed the market by 18 percentage points since May 2014 through December 3, 2018 (see the details here). We were also able to identify in advance a select group of hedge fund holdings that underperformed the market by 10 percentage points annually between 2006 and 2017. Interestingly the margin of underperformance of these stocks has been increasing in recent years. Investors who are long the market and short these stocks would have returned more than 27% annually between 2015 and 2017. We have been tracking and sharing the list of these stocks since February 2017 in our quarterly newsletter. Even if you aren’t comfortable with shorting stocks, you should at least avoid initiating long positions in our short portfolio. We’re going to take a look at the new hedge fund action encompassing Johnson & Johnson (NYSE:JNJ). What have hedge funds been doing with Johnson & Johnson (NYSE:JNJ)? Heading into the fourth quarter of 2018, a total of 63 of the hedge funds tracked by Insider Monkey were long this stock, a change of -5% from the second quarter of 2018. By comparison, 74 hedge funds held shares or bullish call options in JNJ heading into this year. So, let’s check out which hedge funds were among the top holders of the stock and which hedge funds were making big moves. More specifically, Fisher Asset Management was the largest shareholder of Johnson & Johnson (NYSE:JNJ), with a stake worth $1555.7 million reported as of the end of September. Trailing Fisher Asset Management was Yacktman Asset Management, which amassed a stake valued at $669.7 million. AQR Capital Management, Adage Capital Management, and Two Sigma Advisors were also very fond of the stock, giving the stock large weights in their portfolios. Judging by the fact that Johnson & Johnson (NYSE:JNJ) has experienced a decline in interest from the aggregate hedge fund industry, we can see that there exist a select few hedge funds that elected to cut their entire stakes last quarter. It’s worth mentioning that Karim Abbadi and Edward McBride’s Centiva Capital said goodbye to the biggest investment of the 700 funds monitored by Insider Monkey, worth close to $9.7 million in call options. Israel Englander’s fund, Millennium Management, also cut its call options, about $4.8 million worth. These transactions are important to note, as aggregate hedge fund interest was cut by 3 funds last quarter. Let’s go over hedge fund activity in other stocks – not necessarily in the same industry as Johnson & Johnson (NYSE:JNJ) but similarly valued. We will take a look at Exxon Mobil Corporation (NYSE:XOM), Visa Inc (NYSE:V), Royal Dutch Shell plc (NYSE:RDS), and Bank of America Corporation (NYSE:BAC). All of these stocks’ market caps are similar to JNJ’s market cap. As you can see these stocks had an average of 75.75 hedge funds with bullish positions and the average amount invested in these stocks was $12761 million. That figure was $5041 million in JNJ’s case. Visa Inc (NYSE:V) is the most popular stock in this table. On the other hand Royal Dutch Shell plc (NYSE:RDS) is the least popular one with only 36 bullish hedge fund positions. Johnson & Johnson (NYSE:JNJ) is not the least popular stock in this group but hedge fund interest is still below average. This is a slightly negative signal and we’d rather spend our time researching stocks that hedge funds are piling on. In this regard V might be a better candidate to consider a long position. Is Motorcar Parts of America, Inc. (MPAA) A Good Stock To Buy? 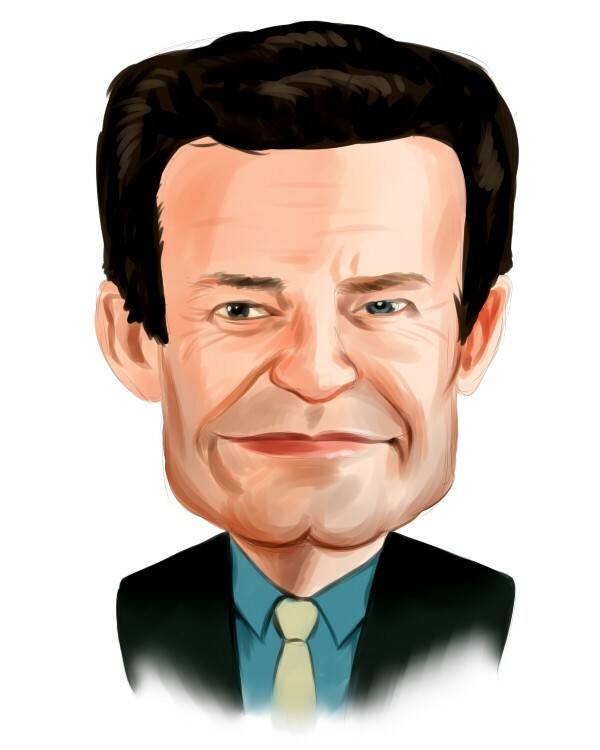 Hedge Fund Sentiment Is Stagnant On Portland General Electric Company (POR) Hedge Funds Are Dumping Gilead Sciences, Inc. (GILD) Hedge Funds Aren’t Crazy About FactSet Research Systems Inc. (NYSE:FDS... Is PotlatchDeltic Corporation (PCH) A Good Stock To Buy? Is The PNC Financial Services Group, Inc. (PNC) A Good Stock To Buy?